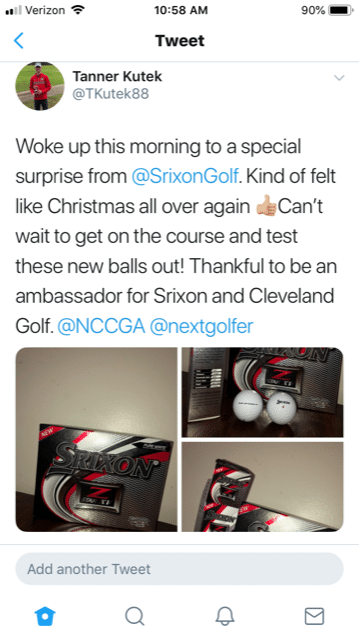 Launched in 2016, Nextgengolf’s Srixon/Cleveland Golf Ambassador Program is designed to help celebrate our relationship with one of the top golf brands in the country. 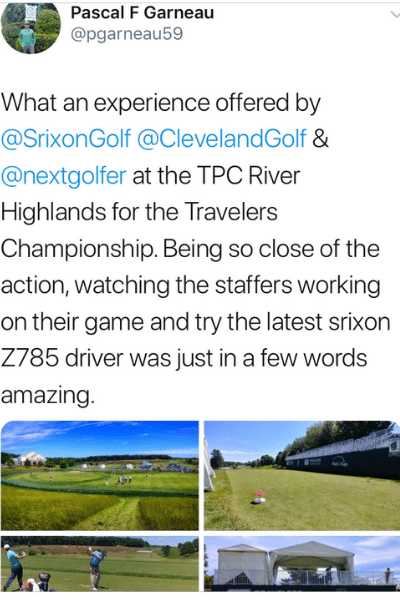 Share your love of Srixon/Cleveland Golf from the mountaintops! 2017 Srixon/Cleveland Golf Ambassadors as the Spring NCCGA National Championship with Mike Dunphy and Michael Jolly from Srixon. Ethan Zimman – Washington D.C.
Zachary Van Dorn – Northwest Missouri St. 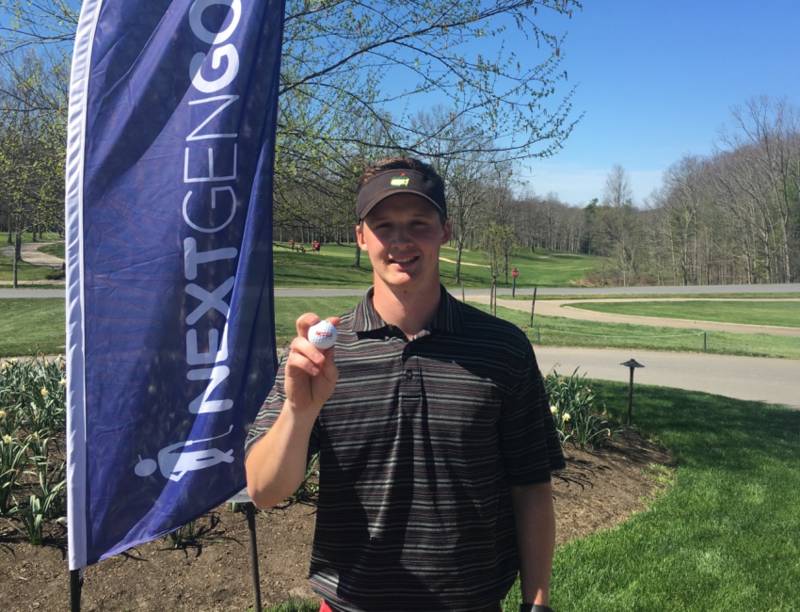 Profile: Josh is a City Tour player in Cincinnati, and consistently attends National Nextgengolf events such as the City Championship. Biggest Change: Since switching to Srixon, I definitely have the best looking clubs in my group. I’ve also convinced some jealous friends to switch as well. The U85 long irons allow me to be confident when staring down a long approach shot, and the Z85’s allow me to dial in the accuracy with my shorter clubs. My favorite thing about 2018 was playing TPC Louisiana in the City Tour National Championships, because it allowed me to represent my city on a PGA level course! Biggest change: The biggest change I have experienced is in the wedge game. Consistency is something I look for in a golf club and nothing is more consistent than the RTX 4. Multiple times in each round I can trust the shot I want to play because I know how the ball is going to react off different types of lies. 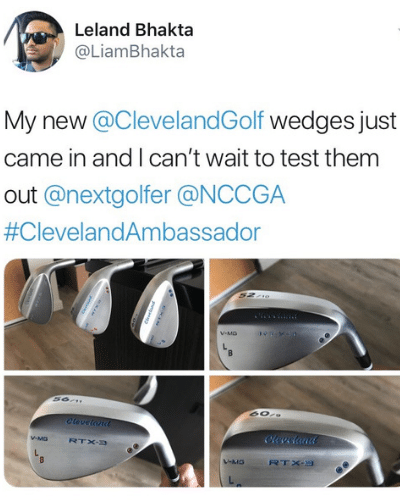 I would recommend these wedges to any player who wants to take their creativity and control to the next level. Lastly, the new Z 785 drive is simply unreal. I’ve never hit a driver that has produces such a high rate of ball speed with such a soft fell at impact. I have picked up a consistent 10+ yards off the tee that has allowed me to reach more 5’s and score more with my wedges on shorter par 4’s. 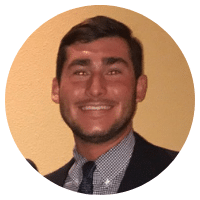 Profile: Chris is a former Plymouth State University Club Golf President, and currently works for the Southern Texas PGA. Biggest Change: I switched to Srixons Z 565 and 765 irons spring of 2018 after previously playing the previous 4 seasons with Taylormade SLDR irons. 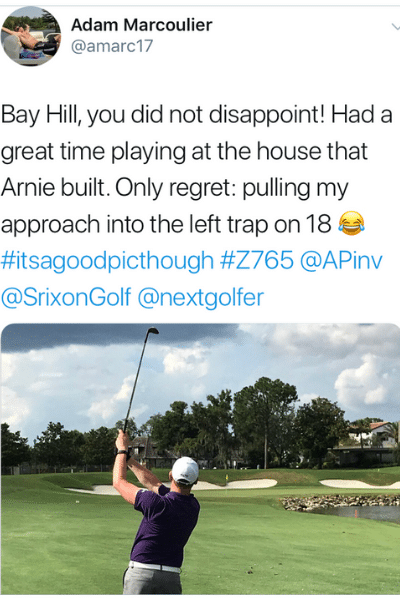 My ball flight used to be very low and inconsistent and after visiting one of Srixons custom fitters my ball flight is much higher and more consistent. 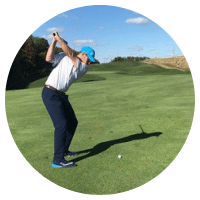 I feel very comfortable standing over the ball confident that I can hit the shot I want especially with the extra forgiveness in my long irons. I’m a kid born in 1987; do the math, i’m not really a kid anymore. 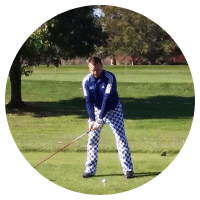 I had my glory years, then moved on to be a head golf coach, where I was able to stay connected to the game I love. 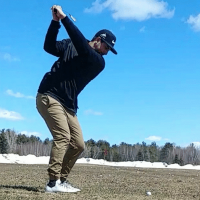 Years went by and I was looking for something to spark my golf game. 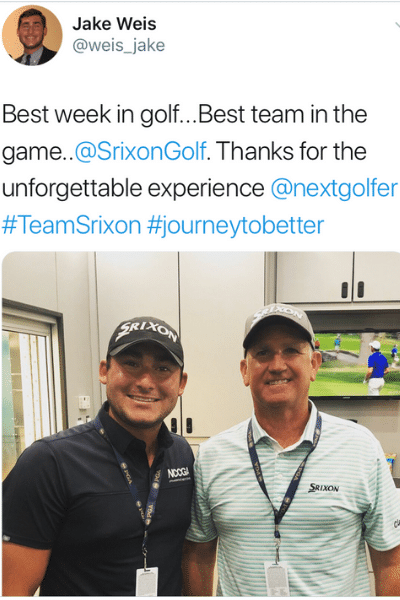 Srixon came up just in time in 2018. 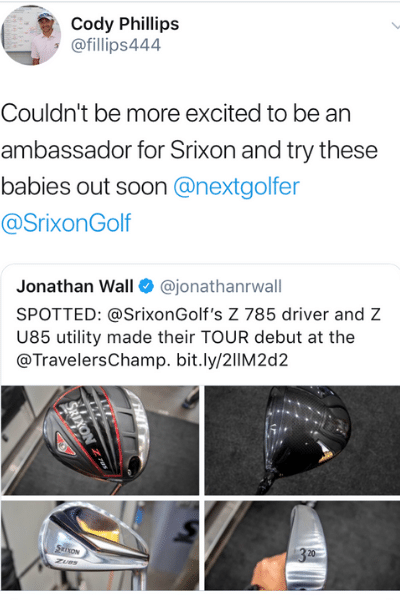 I already knew about many of Srixon and Cleveland Golf’s products, but in 2018 I was accepted into the Ambassador Program. I received my clubs last April and traveled down to Georgia to test them out. I’m from Canada, which means you can’t even think about golf for six months straight. It was so easy to get fit just with the website custom catalog. You can virtually create your own club, from the number of tape layers, the grip selection, multiple shaft options, custom length, and more. 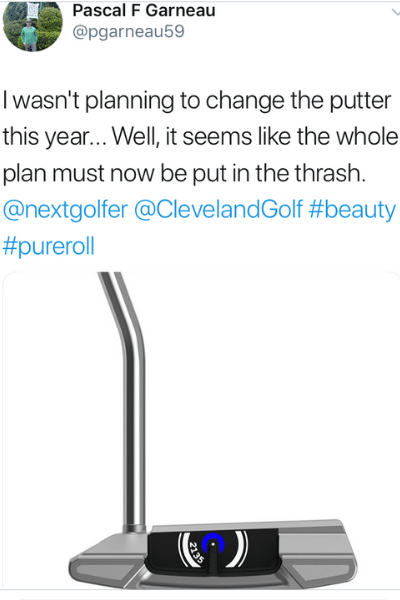 Even without hitting the clubs, the purchase process was simple. I was curious to try both the Z-Star and Z-Star XV ball, and found the Z-Star to work best for my game. 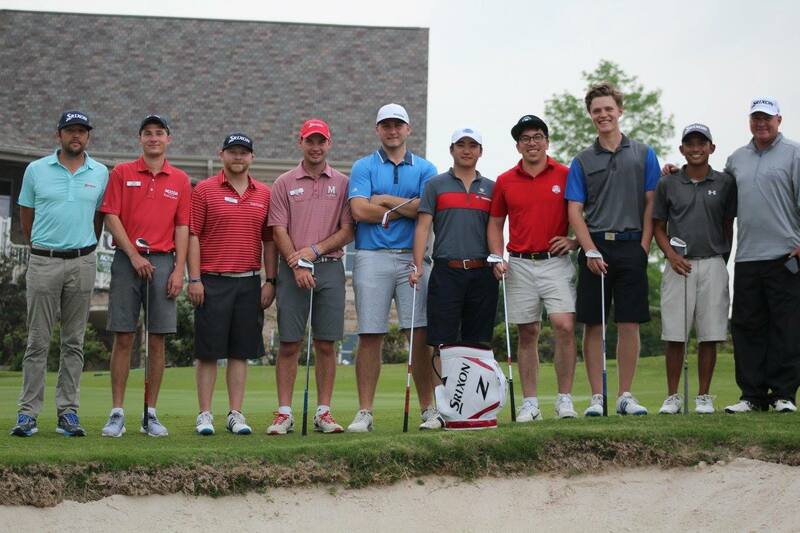 I convinced many of my friends to convert to a Srixon ball, and some said it was their best decision of the summer. There is something about the brand, it’s the people. I was invited to the Travelers Championship in Connecticut to spend Tuesday with their team and the staffers. It was the best day of my whole year because I got to spend it with great people, passionate about golf and dedicated to improving it. 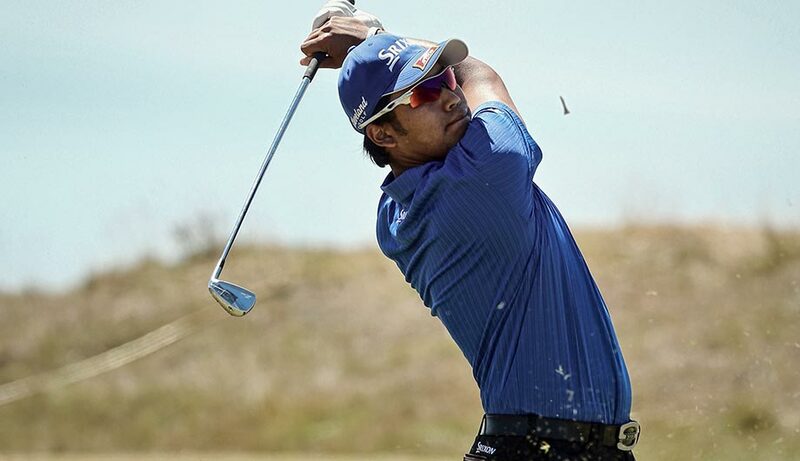 The Srixon team gave me the chance to fall in love with the game again. They gave me a purpose to stay connected for numerous years. 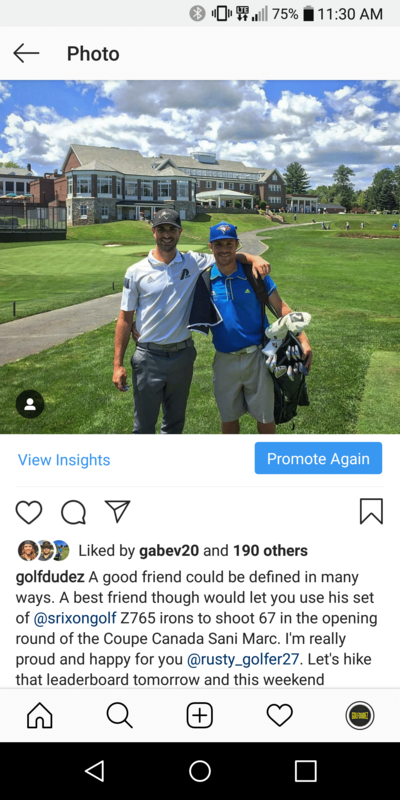 I started a page called Golfdudez in the beginning of the year where I invite golfers to share their best moment on and off the course because at the end of the journey, the ultimate goal is to create memories. 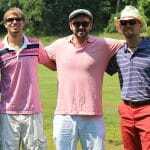 The year ended up with my first event where 52 golfers from Canada traveled hours to Vermont, USA to play in the first Golfdudez Open, where I could introduce the brand to many others passionate. 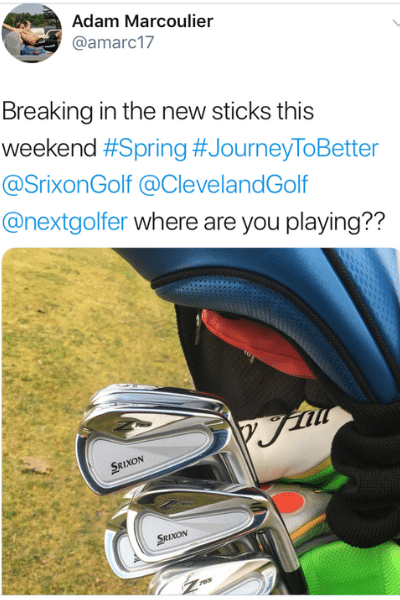 Thanks Srixon to help me grow the game in my own personal way. I hope 2019 will be filled with numerous golf memories, early tee-times, new courses with friends, laughs, memories, and unforgettable moments.